Tesla is up to the task. Historically, Tesla has had problems hitting their aggressive projections. While the company did reach the low-end of their target delivery range for 2014 and 2015, they’ve struggled to reach their quota in specific fiscal quarters of those years. In 2016, the company fell slightly short of their 80,000 target deliveries, hitting just 76,230. One can argue that the differences are minimal, at best. However, now that Tesla has begun deliveries of their new Model 3 line, some are concerned the company won’t be able to meet the overwhelming demand for the electric vehicle (EV). Founder and CEO Elon Musk assured investors during an earnings call for the company’s second-quarter of 2017 on Wednesday that that will not be the case. 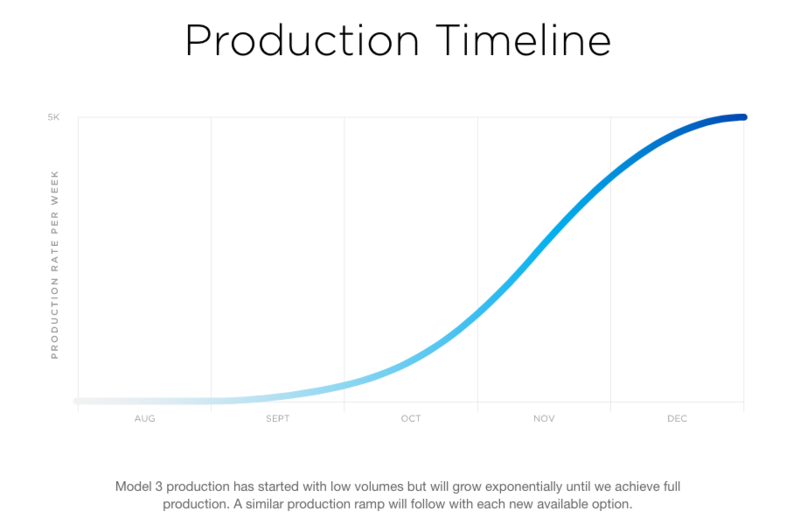 The CEO was referring to plans to ramp up Model 3 production by significant increments over the rest of this year, from 100 cars in August to more than 1,500 in September. That number is predicted to grow to 20,000 cars a month by December. This is a surprisingly strong statement, Electrek reports, given that Musk has always tended to flavor predictions with phrases like “best guess” or “I might be wrong.” He has previously admitted that the next few months would be a “production hell” for Tesla, but he appears confident they will be able to deliver.